With the increasing popularity of Big Data related jobs, the Analytics roles are also gaining huge traction. Almost all the industries like financial services, technology, internet, retail, FMCG, healthcare, travel, media etc. leverage analytics to gain a competitive edge over the competitors. According to the 2018 Corporate Recruiters Survey Report by GMAC, 71% of employers plan to hire recent business school graduates for data analytics roles in 2018, including 52% holding Masters degrees in Data/Business Analytics. 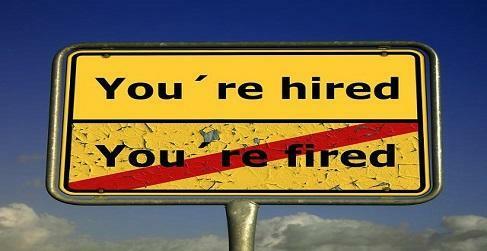 In this article, we will look at the jobs and salaries after MS Business Analytics in details. Master’s in Business Analytics is an intensive program designed to produce qualified leaders in business analytics. Business Analytics (BA) programs focus more on prescriptive and predictive techniques to make data-driven decisions. 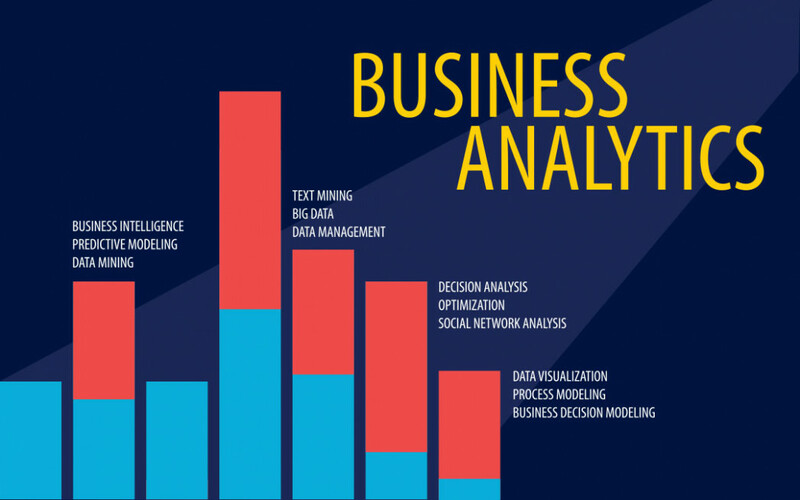 Business analyst’s use of various computational tools, predictive models, statistical and quantitative methods to analyze the data and make better decisions in the organization. Master’s in Business Analytics program intersects business with technology and provides various analytical insights to achieve specific business goals. Major industries like banking, consumer products, energy, government, healthcare, insurance, manufacturing, and pharmaceuticals rely on Data Analytics for mining and analyzing the data. As there is a lot of dependency on analytical tools, the opportunities and the job market is also vast in nature. Many companies are hunting to hire qualified data analysts to fill the challenging roles in the organization. 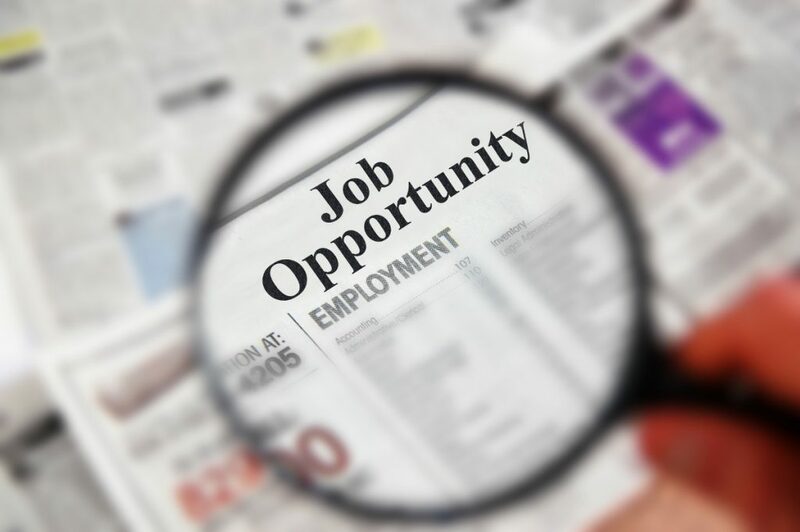 According to McKinsey & Company, the US is expected to face a shortage of 1.5 million managers and Business analysts by 2020. In fact, 140,000 to 190,000 people will be required with deep analytical skills. It was analyzed that 35% of job roles in the world will change and some roles will completely disappear from the job market. According to the World Economic Forum, critical thinking, complex problem-solving, judgment and decision making will become the top three skills required for the new job roles. According to the Bureau of Labor Statistics, the job roles related to Master’s in Business Analytics are expected to grow drastically by 2026. Below statistics shows that there is a drastic growth in the Business Analytics field. These stats also reveal that the Business Analytics job market is going to widen its area by providing many job roles. As per the GMAC survey report in 2018, more than half of all the participating employers are looking to hire MS Analytics graduates in 2018. 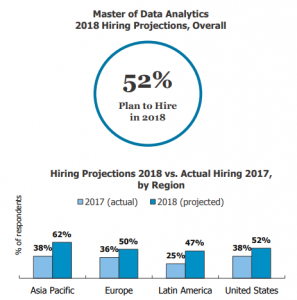 The demand is strongest among Asia-Pacific employers, of whom 62 percent plan to hire Master of Analytics graduates in 2018. About half of employers in the US (52%), Europe (50%), and South (Latin) America (47%) plan to make such hires. 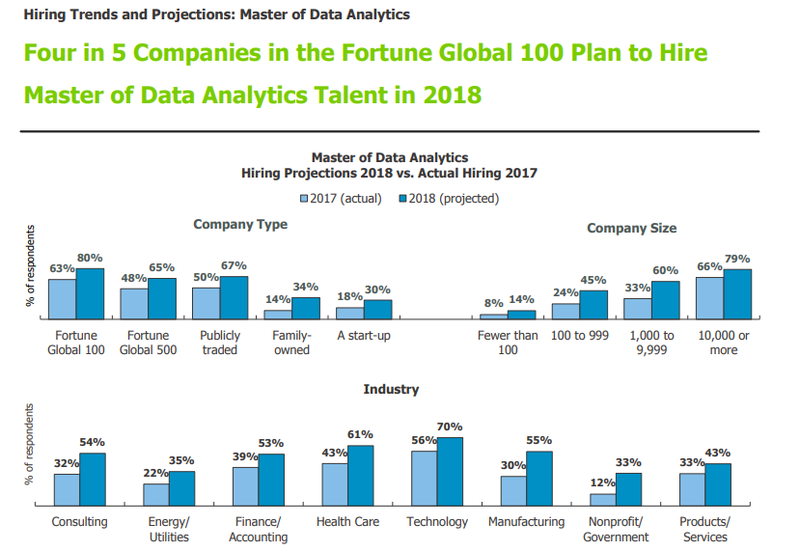 A majority of Fortune Global 100, 500, and publicly traded companies have 2018 Master of Data/Business Analytics hiring plans. The hiring demand for recent Master of Data/Business Analytics graduates is strongest among the employers in the technology (70%), healthcare (61%), manufacturing (55%), and consulting (54%) industries. 75% of organizations plan to place new business school graduates into mid-level positions. Whereas, 62% plan to place graduates into entry-level positions. graduates into senior and executive level positions. 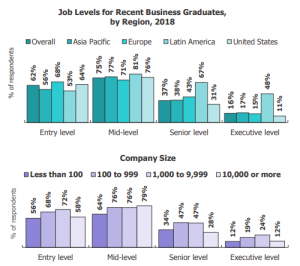 Mid-sized companies are more likely than smaller and larger companies to plan to place new business school graduates into senior and executive level positions. Data scientists mainly focus is on Computer Science/ Technology. They deal with databases, coding, high-performance computing and parallel processing, and machine learning. Working knowledge of Python, Spark, Scala, and Julia reduces the competition in the job. Data Analytical scientist deal with maths, statistics, understanding the trends, solving the complicated data models etc. A major task in the job is the data mining and analyzing of the data extracted. A quantitative analyst/modeler helps in understanding the data models to support the organization in taking the major decisions in the organization. Quantitative analysts generally belong to the financial industry where the analysts need to undertake and manage risky situations and decisions. On-Demand 1:1 Session with Harvard, Oxford, UPenn, Stanford Alumni for Career and College Admission Guidance. Business Analyst or the Data analyst need to build up the visual representations of the data and provide appropriate information to decision makers in the organization. 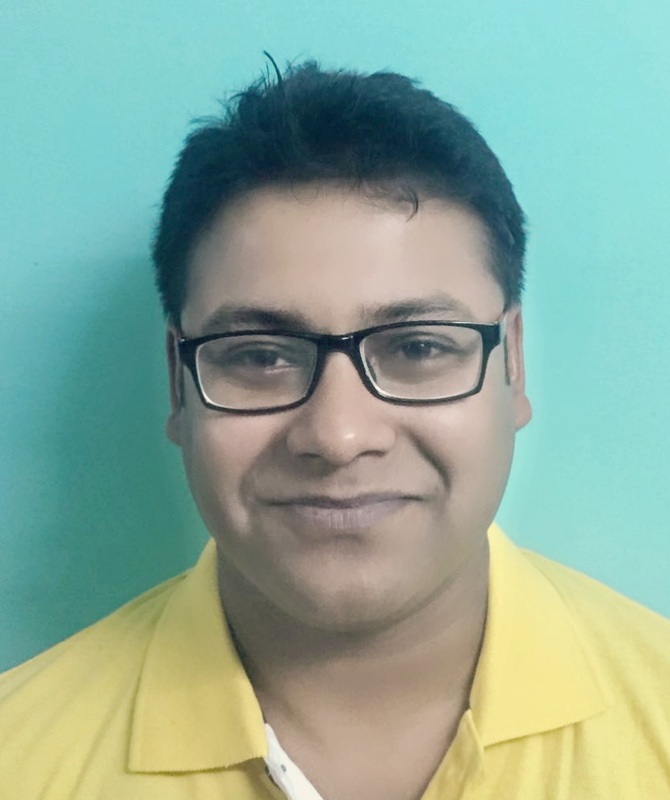 A business analyst works on different tools and techniques to understand complex data models. A Business Analyst Manager should have the knowledge of technical tools, data analytics foundation methods, data gathering and processing which ensures appropriate analysis of the data models. Good communication skills, leadership qualities, strategic thinking are the major skills required for a Business Analyst Manager or consultant. A graduate in Business analytics can choose to become a data scientist or data analyst. A Business Analytics professional gets an opportunity to deal with qualitative analysis, evaluate and informing the decisions in major market streams like human resources, customer service, marketing, operations, and finance. According to the US Bureau of Labor Statistics, in the next 10 years, about 96,500 new management analyst jobs will be created i.e. on an average of 12% of growth in the industry. On average, about USD $81,330 will be the starting salary. For a Master’s grad, the expected average salary will vary, based on the specialization they choose. Yet an average salary is estimated by considering the demand in the market. The expected average salaries are mentioned below. As we can see, employers all around the world are having a tough time to recruit analytics professionals with the right skills set. So, the salaries are very lucrative in this domain. The salaries are even better for the folks with a Masters degree (MS or MSc) in Business Analytics. A significant section of all the responders does have inhibitions for hiring international graduates. So, for the folks who are looking to pursue MS Business or Data Analytics abroad, you need to be cautious with the selection of the country and business school. Additionally, you should also work on your soft skills and job hunting strategy. Key References: 1, 2, 3.